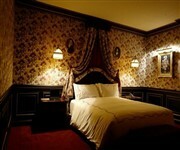 Want to find a new hotel in Seoul, South Korea? Below you will find our list of the best, most recently opened hotels in the city from budget style 3 star, to deluxe 4 star and luxury 5 star accommodation. 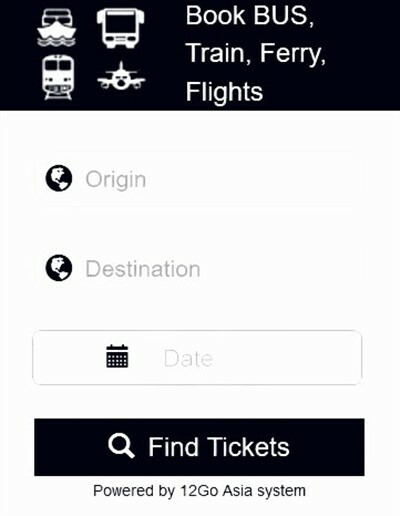 To read reviews, check prices and get more information on the hotels below, just click on the hotels link. 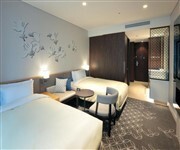 A recently opened 3/4 star hotel in Gangnam offering 152 rooms and suites, featuring a spa, fitness centre and restaurant. 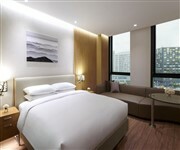 Opened in December 2018, this newly built hotel in Seoul is located next to the Seonyudo subway station. A new French, Parisian style boutique hotel in the heart of Seoul, opened in late 2018. A recently opened new hotel in the Gangnam district opened in October 2018, offering 108 guestrooms, a fitness centre and an on-site restaurant, cafe and bar. 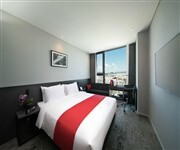 This new deluxe hotel in Seoul opened in October 2018 and is located in Gangnam-gu. 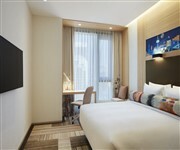 This brand new hotel in Seoul by IHG was recently opened in September 2018. The 3 Star property is located above the new AK Mall and just a short walk away from the Hongik University subway station. Opened on the 31st of August 2018, the new Hotel Gracey in the Namdaemun area of the city, is a four star property from a famous Japanese chain. The property offers an on-site restaurant along with the 335 guestrooms (ranging from the 22 sqm Double Rooms, to slightly larger Twin and Triple Rooms). After a full 8 month renovation, this 5 Star, 379 guestroom hotel was reopened in August 2018. This top luxury hotel in Seoul, offers a good location in the Gangnam Central City complex, an indoor pool, gym, luxury spa and a selection of in-house restaurants. With an excellent city centre location close to the Dongdaemun Market, this new 4 star accommodation by Accor Hotels opened in mid 2018, offering 331 guestrooms and 192 residences and features two restaurants, two bars, indoor and outdoor swimming pools, gym and a business centre. A new 4 Star business hotel in Seoul opened in May 2018, located close to Gimpo International Airport in the Magok R & D district. A new luxury hotel in Hongdae offering modern, stylish guestrooms and featuring four restaurants, a bar / lounge and a fitness centre. Opened in April 2018, this new 4 Star hotel in Seoul is located in Yeongdeungpo, offering 572 guestrooms, a fitness centre and on-site restaurants. 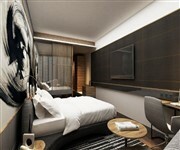 This new hotel in Gangnam, Seoul is a 4 Star accommodation opened in April 2018. The property features a total of 199 guest rooms, suites and two penthouses, an all-day restaurant, lounge bar and a fitness centre. This new deluxe hotel in Gangnam by Lotte hotels, opened in early 2018, offering a range of stylish rooms and suites, a gym, foot spa, business centre, restaurant, lounge and bar. Opened in September 2017, this new 5 Star hotel in the Gangnam district of Seoul which was formerly the Ritz Hotel, has undergone an extensive renovation and now offers a range of 336 luxurious guestrooms and suites. This new stylish / trendy hotel by Marriott was opened in early 2017 offering modern, hip guest rooms and suites, an on-site restaurant and a fitness centre. 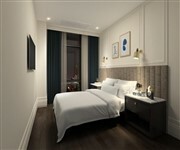 To find the best new hotels opening in Seoul for 2019, please visit this page again.